‘You can’t teach young students the ABC Theory of Emotional Disturbance and it should only be used by a trained psychologist in the counselling setting.’ Albert Ellis railed against this kind of misinformation put forth to preserve the status of the psychologist as ‘expert.’ Ellis of course wanted his ABC Theory of Emotional Disturbance to be accessible to all, especially to teachers and students. Far better that young children learn why they feel and act as they do and to develop insights and skills preventatively and educatively in the school setting. 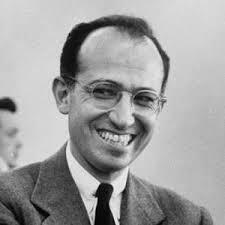 Jonas Salk who created the polio vaccine hypothesised that if we could ‘psychologically immunise’ students they would be less prone to mental health issues and would probably be physically better off too. 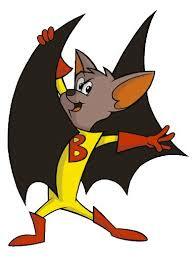 Batfink, the cartoon character said to his enemies ‘your bullets cannot harm me, my wings are like shields of steel?’ He would wrap his wings around himself deflecting any harmful bullets from hitting him, thwarting those who would have him undone. Teaching students how to deflect psychological harm as part of daily curricula activities would be a useful thing. Rational Emotive Behaviour Education does just that by using some basic but essential counselling tools and ideas. To those who may think ‘I am not a psychologist and I have enough to teach’ consider the following and reap the benefits. 1. Kids actions are determined largely by their constructed views (beliefs) about themselves, others and the world (as indeed our own are). 2. These beliefs can be mostly helpful (rational) or unhelpful (irrational). 3. Strength of emotion is also linked to these constructed views – ‘I want something and I must have it and I didn’t get it.’= anger. ‘I want something and I prefer to have it but I can wait.’ = disappointment. 4. Thinking, feeling and behaving are connected – ‘Nothing is good or bad but thinking makes it so!’ Hamlet. 2. Teach the Emotional Thermometer – words for varying strength of feeling. Use the idea of Batfink deflecting harmful bullets and encourage students to consider information and evidence to draw their own conclusions about their self worth and rejecting (deflecting) errant incoming data. Can a person be bad? No. A person can act badly which does not cancel out the positive qualities that remain. Failure also doesn’t define a person nor does rejection i.e. we are worthwhile because we are here! (Albert Ellis – Unconditional Self-Acceptance). Teachers at Para Hills P-7 work hard to impart the Batfink philosophy to all students. Mindfulness! The Call to Teach REBT/CBT in Schools - not a new idea! Educators help children develop psychological 'wings of steel' to ward off the potential harm of failure and rejection. This article CBT in schools advocates for CBT (cognitive behaviour therapy) to be taught in schools. Para Hills P-7 has been doing this for several years through Rational Emotive Behaviour Education which is based on REBT (Rational Emotive Behaviour Therapy). Dr Bill Knaus renowned REBT expert and advocate for Rational Emotive Behaviour Education provides his highly acclaimed school resource here Free REE Resource download for educators and counsellors in schools. The call for REBT/CBT in schools is not a new one but perhaps now the time is right to capture the imagination of educational leaders everywhere!